Media Jockeys is the Northwest's premiere DJ services, second to none in quality and versatility. 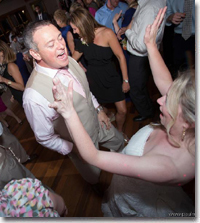 Based in Portland, OR we provide experienced, professional disc jockey services to over 200 events annually. We perform at wedding ceremonies, wedding receptions, reunions, bar-mitzvahs and bat-mitzvahs, school functions, corporate events, grand openings and any other event where quality dance or background music is required. Our philosophy here is very simple. Use the best, most state of the art equipment for a professional look and great sound. Combine that with experience and individual attention to create a highly effective and well received entertainment service. 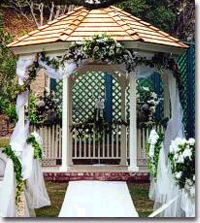 We understand that our services are almost always used for very special occasions such as weddings, birthdays, graduations, etc. Therefore, we take extra time with each client to help them decide which jockey and which services are right for them. Arranging a microphone for your officiant and music for your wedding ceremony can be a time consuming and expensive proposition. A quality string quartet will cost anywhere from $350 to $500 and a basic sound system which you would have to pick-up, set-up, operate, and drop off yourself would cost another $100 to $150. 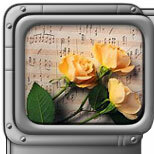 However, the Media Jockeys DJ service has a cheap and easy alternative for you. Instead of spending the extra time and money on coordinating those details yourself, let our DJ take care of it for you. Our DJ will already be working with you on your reception music and has the knowledge and equipment to make sound for your ceremony a snap. We will provide a separate, visually discrete speaker set and amplifier, a wireless microphone and microphone stand, and the on-site DJ will play music of your choosing at the appropriate times before, during, and after the ceremony. The price for an on-site ceremony is only $150 and the price for an off-site ceremony is $275 (within 10 miles of the reception site). 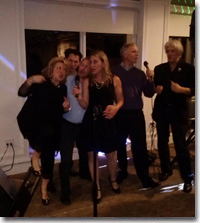 Providing entertainment for wedding receptions is our specialty. We have been doing weddings for over a decade and have put together what we feel is the best mobile DJ service in the Northwest. Without charging you more than the going market rate we will provide you with the most responsive and professional service, an experienced DJ in formal wear, a state of the art computer-based sound system complete with wireless microphone, a gigantic music library of both background and dance music, and appropriate lighting effects. Our lead DJ will work with you to plan the layout and flow of your event, consult with you on announcements and timing, and help you with music requests. We work hard for our customers and will never try to steal the show. It is your wedding and you should be the center of attention - not us. Instant price quotes can be obtained on the Pricing page. Our Karaoke systems have been designed for people who take their fun seriously. With close to 3,000 song titles from which to choose, professional sound systems and digital effects, we believe that our mobile systems rival many of those found in the better Karaoke clubs and at an affordable price that will definitely make you want to add this to your next event. This is very interactive entertainment that is almost always a huge hit.